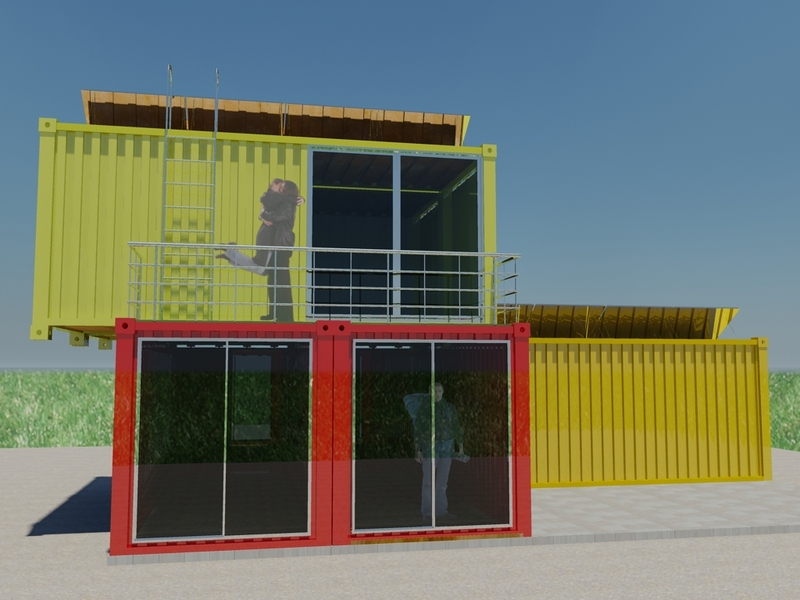 Did you ever stop to think about what else you could do with those giant cargo containers used on ships? It’s kind of the ultimate recycling project. They are watertight, durable, inexpensive and (duh) easy to transport. 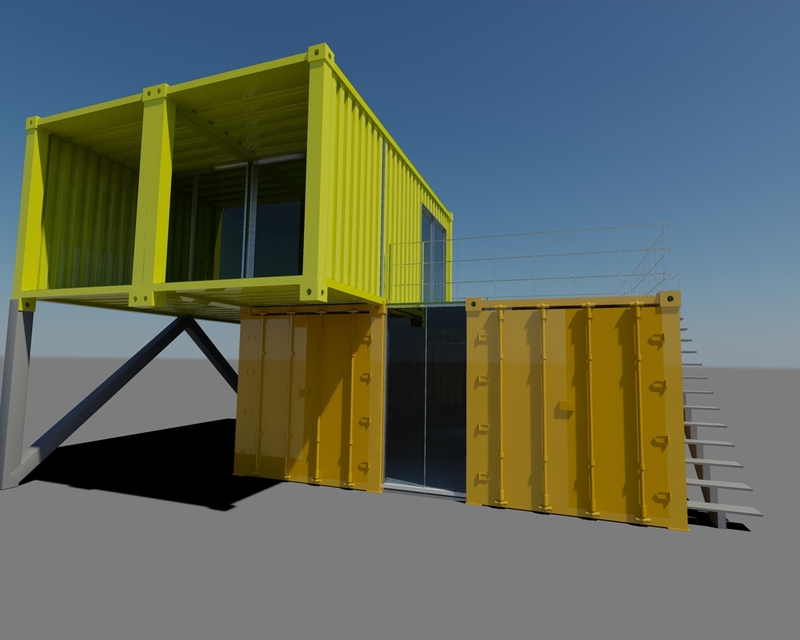 There has been growing interest among some architects to use them for constructing modular buildings. I’ve gotten fascinated by the idea and started designing some of my own. I plan to build a beach house out of them in Mexico some day. This is the largest of the series, using 7 of the 20-ft containers. 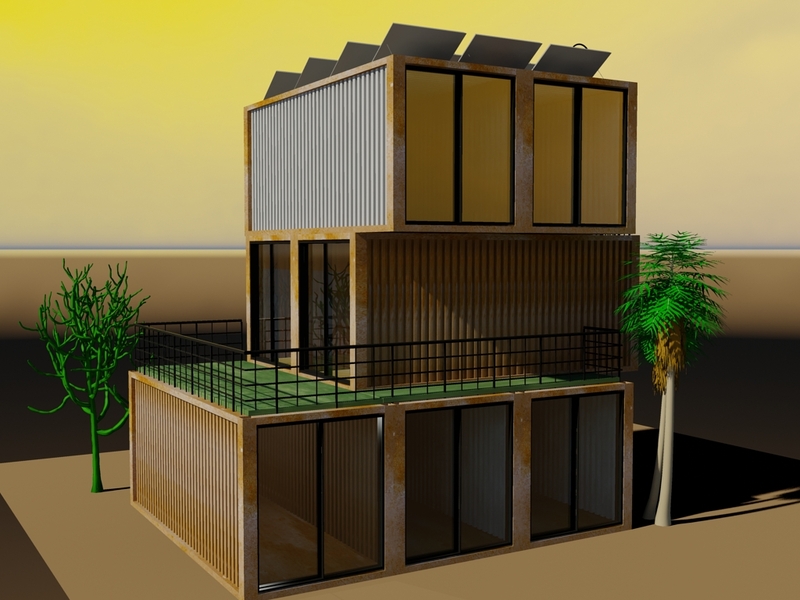 It has a nice balcony on the second floor, while the roof is used for solar panels. 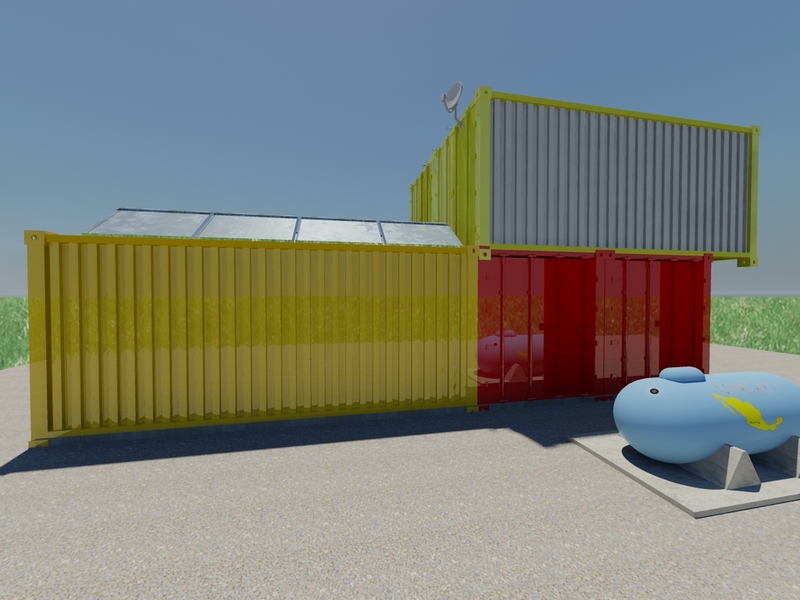 This design uses five containers, four for living space and a fifth as a garage/storage. More solar panels, of course. Here's a rear view of the same structure. You can see the natural gas tank (for cooking, heat, and backup electricity), solar panels, and the satellite antenna (for Internet and TV). 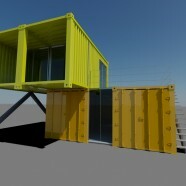 This is a cute little structure made from 4 containers. The two on the bottom are separated from each other and enclosed with a small roof piece making a big living room/kitchen. This also provides a large patio above. Upstairs is a master bedroom with a semi-enclosed porch. Underneath is covered parking. I just wanted to say that this is an amazing idea. It would be a very eco friendly way to conserve our materials! I love it, and hope you pursue this dream!